The HMS Cameron (I 05), was an ex- United States Destroyer (Ex USS Welles DD 257). It was laid down on November 13th, 1918 and launched on May 8th, 1919 and was a Type A and part of the Belmont Class Destroyer. The ship was later commission on September 2nd, 1919 and later held in reserve in the United States through 1939. 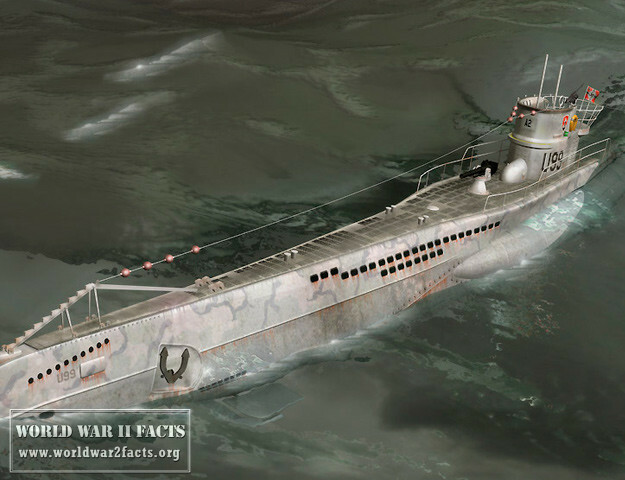 The CAMERON would be transferred to British service during World War 2. 1 What was the Lend/Lease Agreement? What was the Lend/Lease Agreement? The Lend-Lease agreement was passed into law on March 11th, 1941. It was the major program under which the United States provided supplies to the USSR, Great Britain, Free France, the Republic of China, and other Allied nations with materials during World War 2 from 1941 to August of 1945. The agreement took a year and a half of war before it was signed into war and was in place nine months before the United States entered World War II in December of 1941. The agreement was formally titled, “An Act to Further Promote the Defense of the United States,” and signaled an official end to the United States’ claim of neutrality in the conflict. 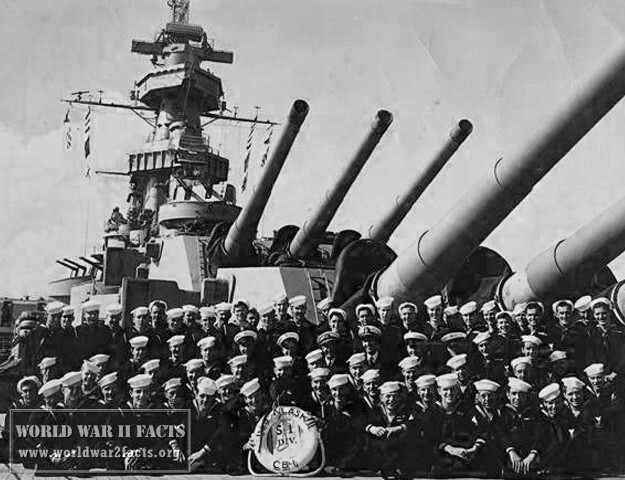 While the agreement was in place, a total of $50.1 billion in supplies was shipped to the Allies and represented more than 17% of the total war costs of the United States. Of this amount, $31.4 billion was sent to the U.K., $11.3 billion to the USSR, $3.2 billion to Free France, $1.6 billion to China, and smaller amounts were sent to the Allies. Under the Reverse Lend-Lease act the U.S. received a number of services from the Allies such as rent of bases and the total amount received totaled $7.8 billion with $6.8 coming from the U.K. and other Commonwealth countries. The "Town" class destroyer HMS Cameron (ex-USS Welles, DD-257) after being blown off the blocks during an air raid whilst in dock at Portsmouth and burnt out on 5 December 1940. Armament: 4 x 4"/50, 1 x 3"/23AA, 12 x 21" tt.. Laid down by Bethlehem Steel, Quincy on November 13 1918. Launched May 8 1919 and commissioned September 2 1919. Decommissioned June 15 1922, Recommissioned November 6 1939. 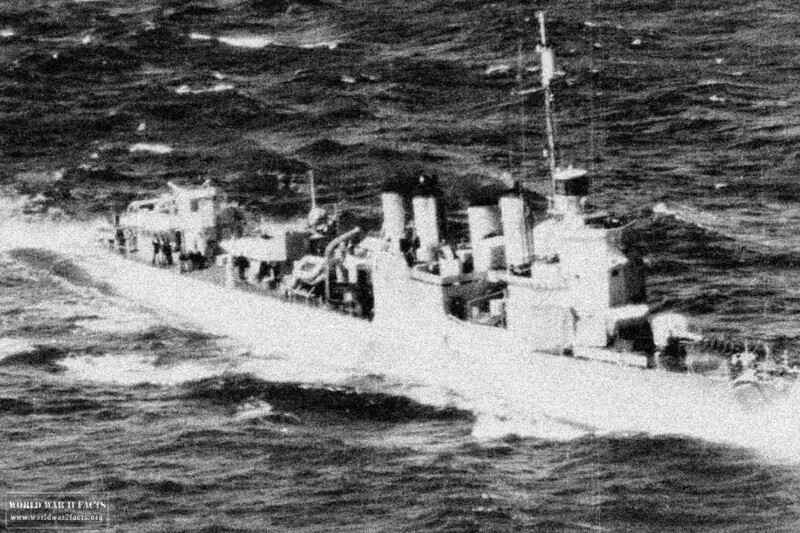 Transferred to Great Britain September 9 1940, renamed HMS Cameron (I05). The Ex USS Welles was transferred to the Royal Navy under the United Kingdom / United States Lend / Lease Agreement during World War 2. 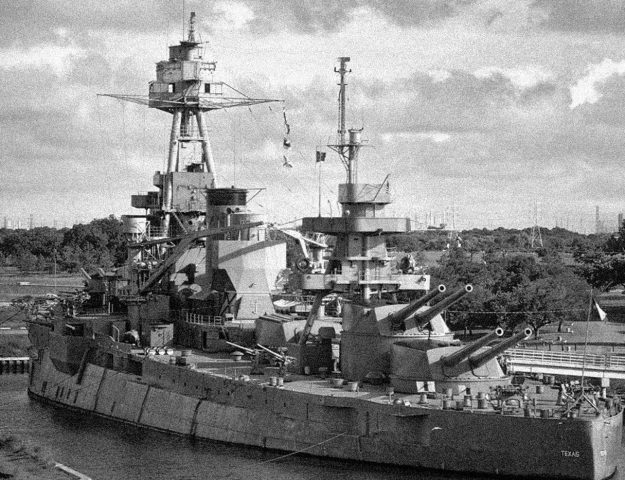 She was then commissioned as the HMS Cameron on September 9th, 1940 in Halifax, Nova Scotia. This was the fist time that the ship name Cameron had been used for a Royal Navy warship. Unfortunately, the Cameron would not see combat action during the war. 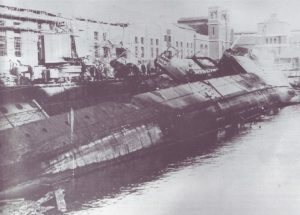 She fell victim to aerial attack while in Drydock #8 in Portsmouth England on December 15th, 1940. The ship would be declared a total loss on February 23rd, 1941. Prior to being placed on the Royal Navy Disposal List on October 5th, 1943, the Cameron was used extensively to assess the effects on machinery and ship’s structure of a major explosion. The ship would remain at Portsmouth until November 1944 when ultimately she was towed to Falmouth and was sold to TW Ward for demolition. The ship was handed over to be scrapped on December 1st of 1944. Lend Lease Shipments of World War 2, iBiblio.org, last viewed on 4 December 2013. USS Welles History, Dictionary of American Naval Fighting Ships, last viewed on 4 December 2013. USS Welles (DD 257), NavSource Naval History, Last Viewed on 4 December 2013.